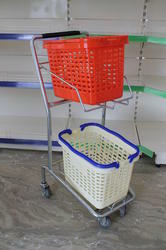 Our range of products include stainless steel shopping trolley, supermarket shopping trolley, supermarket shopping trolley, stainless steel supermarket shopping trolley, 2 tier shopping trolley and zinc coated shopping trolley. 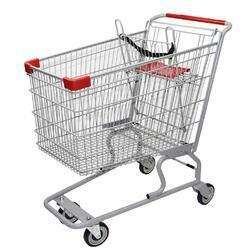 Our valuable customers can avail from us an attractive assortment of Stainless Steel Shopping Trolley within the stipulated frame of time at very affordable rates with the support of well-equipped infrastructure. 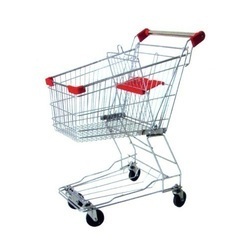 Stainless Steel Trolleys with baby seater & 65Ltrs capacity fitted with castors wheels. 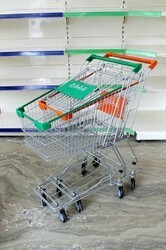 Stainless Steel Trolleys with baby seater & 100Ltrs capacity fitted with castors/Travelator wheels. 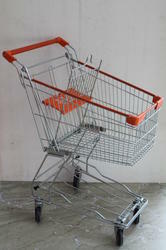 Stainless Steel Trolleys with baby seater & 125 Ltrs capacity fitted with castors/Travelator wheels. 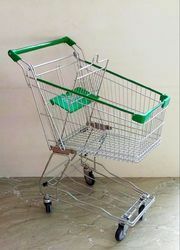 We manufacture best quality Supermarket Shopping Trolley owing to our state-of-the-art infrastructural facility. 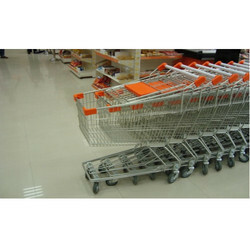 Their high load carrying capacity, smooth finish make these trolleys highly demanded in various shops and stores. Best quality wiring, new designing castors and child seat, Highly anti-rust, chrome-plated, plastic corner guard, well nested for storage, colorful handle. 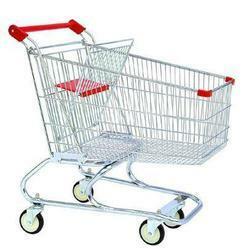 Our organization is widely recognized for providing broad spectrum of Stainless Steel Supermarket Shopping Trolley. These are in high demand in the market. Best quality round pipe, new design castors, highly anti-rust chrome plate with the provision of two baskets.